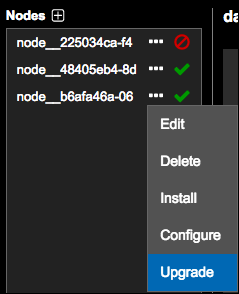 End-to-end example of upgrading DSE from version 6.7.0 to 6.7.1 using Lifecycle Manager. 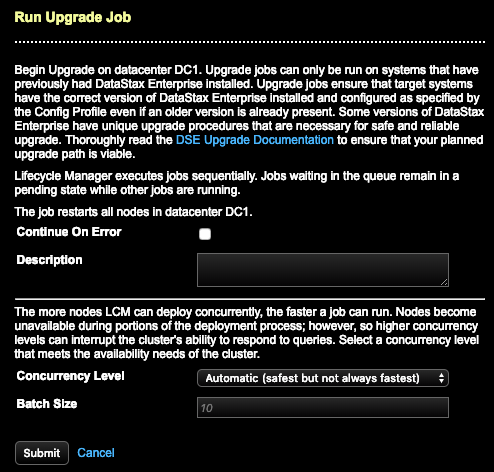 Optional: Enter a Description about the upgrade job. 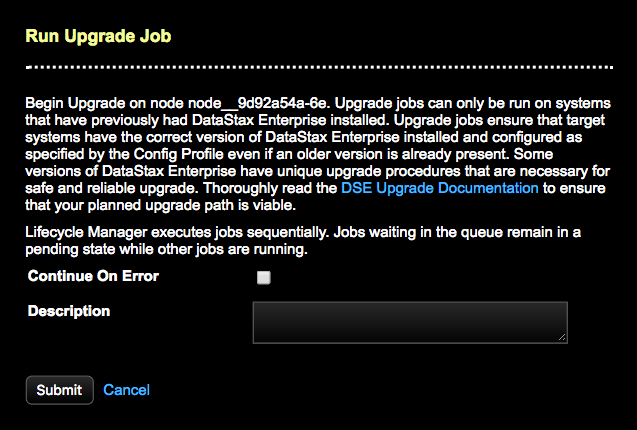 For example: upgrade node from DSE 6.0.0 to 6.0.4. The description displays in the Jobs pages when Viewing job details.